Bees on sunflower in the Pollinator Garden in the WSU Arboretum & Wildlife Conservation Center. Hunting season is open in the WSU Arboretum – at least if you’re a student or visitor with a camera and are looking to carefully watch or shoot a picture of a bee or other pollinator! Students in WSU’s class in Restoration Ecology currently are prototyping a future “Citizen Scientist” project to census bees and other pollinators as part of what will become a Palouse Prairie Pollinator Project. The potential decline and status of bees, both introduced honey bees and native bees, quickly has become an agricultural, economic, and conservation issue both in the United States and around the world. The phenomenon of “bee colony collapse disorder” has become widely known since about 2006 when many feral and domestic honey bee colonies began disappearing in North America. WSU students in Restoration Ecology census bees and other pollinators in the WSU Arboretum & Wildlife Conservation Center. The causes and extent of bee colony collapse disorder are unknown and controversial, with multiple factors such as Varroa mites, pathogens and diseases, pesticides, and a variety of other factors all potentially contributing to deaths and declines of bee colonies. Given that bees pollinate about 52 of the top 112 agricultural crops in the world, and generate about $ 212 billion to the world’s economy (Reuters), the loss of pollinator services represents a serious agricultural, economic, and ecological issue that concerns everyone. 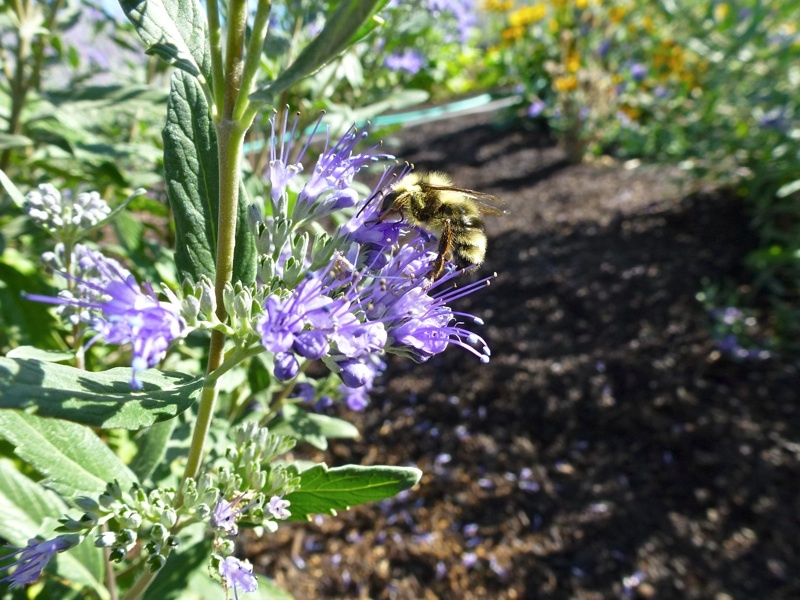 Bumble bee on flower in the WSU Arboretum & Wildlife Conservation Center. 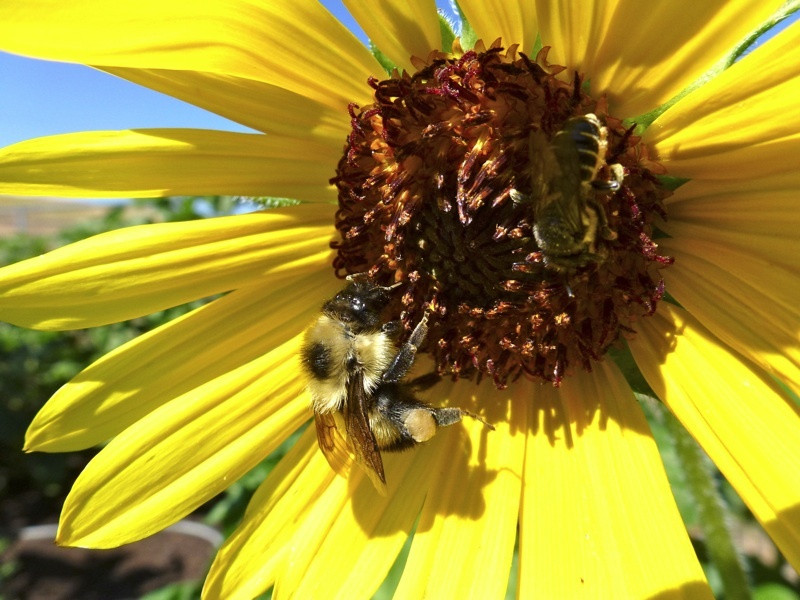 Student’s in WSU’s Restoration Ecology class are developing a modified bee census method, similar to those used in other bee counting projects around the United States (see: The Great Sunflower Project), and are using it to census bees in the WSU Arboretum & Wildlife Conservation Center. Aside from providing information on the abundance of honey bees, native bees, and other pollinators, these data provide a valuable historical baseline to document the changing ecological conditions in the Arboretum as various habitats (e.g., gardens, grasslands, meadows, woodlands) are developed and restored in future years. 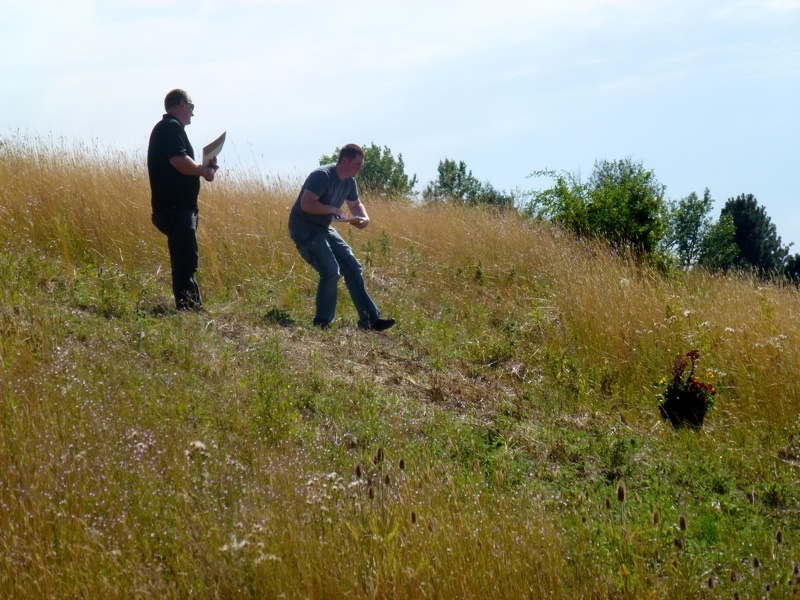 WSU students census bees in a small plot of native Palouse Prairie in the WSU Arboretum & Wildlife Conservation Center. 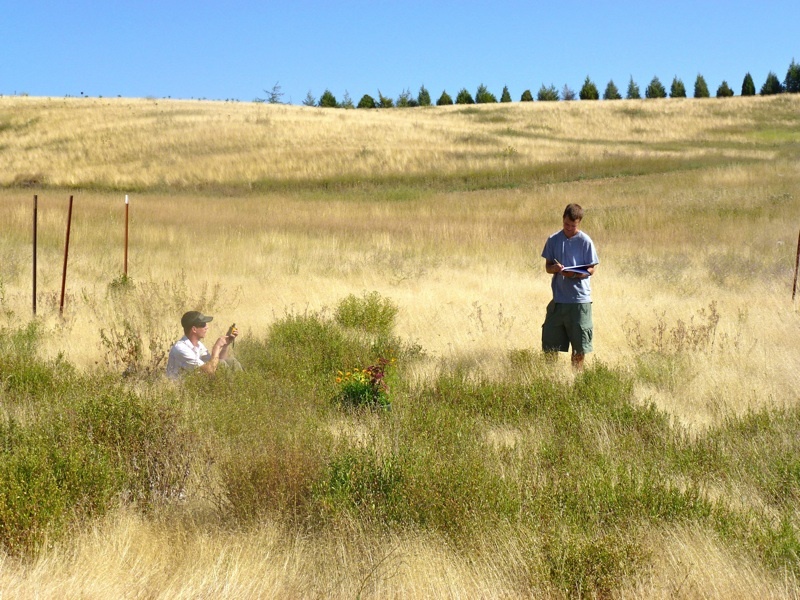 Once the kinks are worked out of the data collection methodology, we plan on asking the public for help in the Palouse Prairie Pollinator Project next year through a “Citizen Scientist” project, whereby anyone can help contribute bee observations by using a standardized data collection protocol. 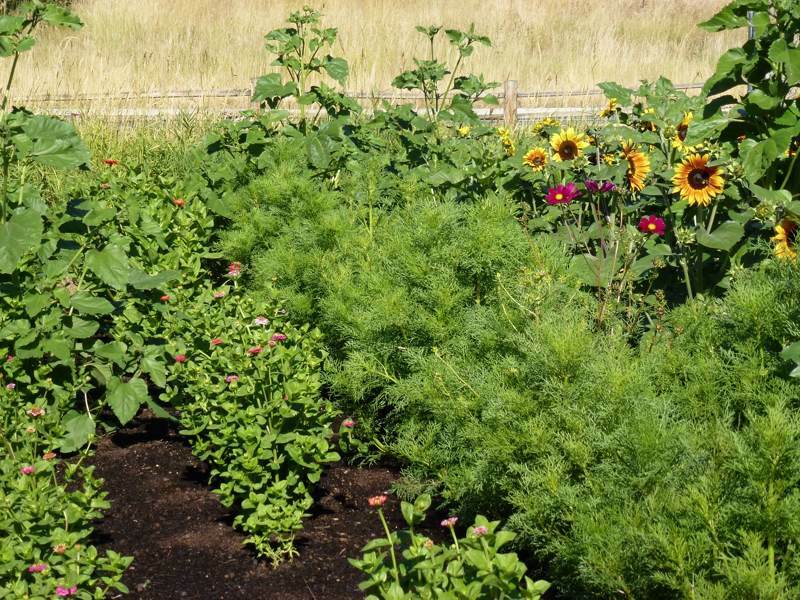 Bees and other pollinators are being censused in the Pollinator Garden in the WSU Arboretum & Wildlife Conservation Center. WSU students use portable flower planters to census bees and other pollinators in the WSU Arboretum & Wildlife Conservation Center. 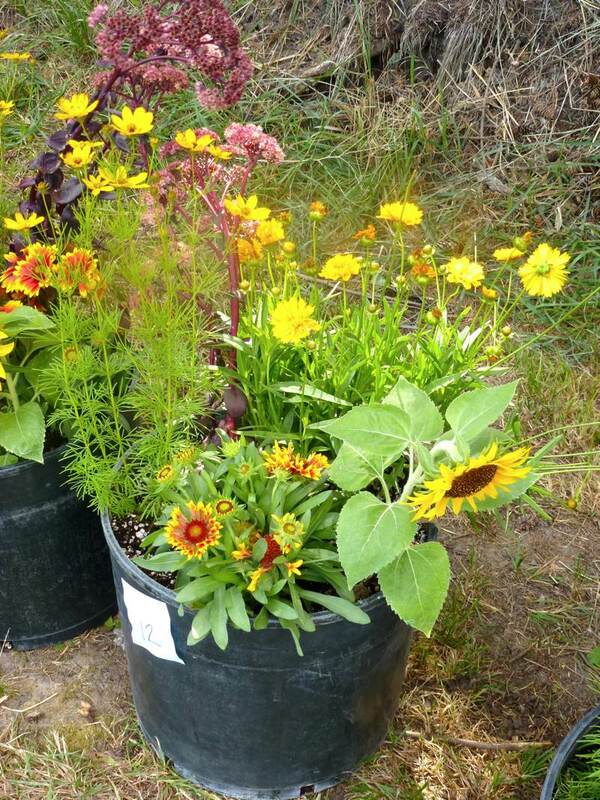 WSU students place pots of flowers in randomized locations in the WSU Arboretum to census bees and other pollinators. For now, WSU students are testing methods for data collection and learning how to identify some of the key bee species or groups occurring here in the Palouse Prairie region. Students use a flower planter, containing about five different kinds of flowers that are attractive to bees, and place them in different randomized locations in selected arboretum habitats and count the bees that they observe visiting the flowers over 10 minutes. These data then will be input into an ecological modeling program to generate an analysis of what kinds of ecological and environmental factors may be important in predicting the number and kinds of bees observed (e.g., habitat type, weather, location in the arboretum, distance to commercial bee hives, distance to water, etc.). 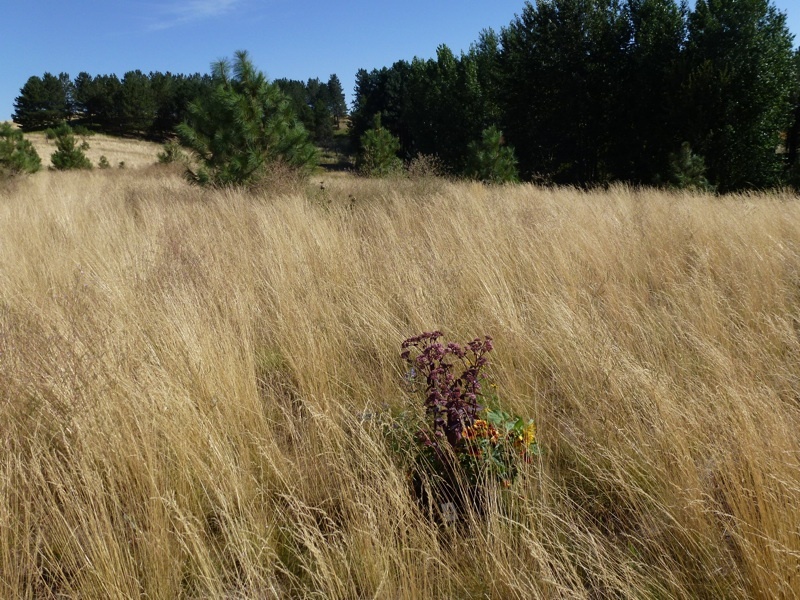 When the ecological model is completed, it will be published and discussed here at Nature @ WSU.